Bottom line: Google has already shared many of the ways that it fights against the spread of false information, but has now put all of those methods into once easily readable document that was presented at a security conference. Google is fairly secretive about how its search results are generated in an astoundingly short amount of time. In the current climate of news and the term “fake news” being thrown around regularly, Google has come forward at the Munich Security Conference to present a white paper on how it is fighting disinformation. Drowning out disinformation in Search, News, and on YouTube is no easy feat, but 20 years of combating traditional spam certainly helps. Each of these three Google segments have their own unique fake news blocking techniques in place. According to the white paper, Google Search and News make use of algorithms without any human intervention when determining rankings. End user behaviors are analyzed and some are asked to rate the quality and usefulness of results. This feedback is used to try and improve the ranking order of web pages and news articles. 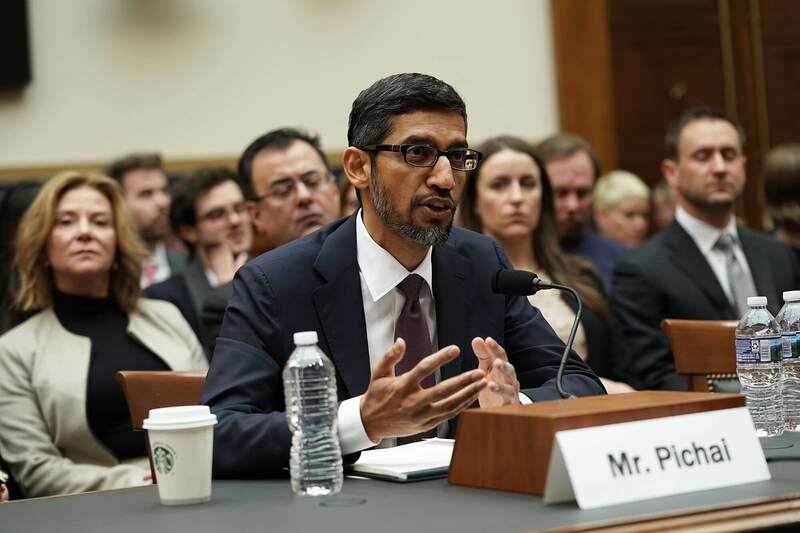 CEO Sundar Pichai has already shared essentially the same information before Congress after Google was accused of manipulating political search results. An important fact about Google’s algorithms are that they “do not make subjective determinations about the truthfulness of webpages.” Instead, only measurable and verifiable data is used to give a trust score of sorts. The number of other websites linking to or referencing a page and authority rank are contributing factors. Once a web page meets enough of Google’s criteria to be considered legitimate and of good quality, it is given a boost in results. Google News imposes even stricter guidelines for what will be prominently featured because timeliness is a major factor in ranking. All of the news produced on any given day that Google crawls through can be used to determine when and which topics are considered important. Following the automated filters in place, extra context is being given to “Your Money or Your Life” pages. Google looks for medical, legal, financial, and public information pages that may be used to make critical decisions. These YMYL category pages receive special ranking consideration based on authority and user trust. For example, anti-vaccine campaigns may be moved down rankings considerably due to their provably false information being spread. Humans are involved in rating some of these pages, but do not determine the absolute rank of any site or individual web page. YouTube is so large that it could have its own book about how disinformation is being fought against. Main techniques to fight fake news include only suggesting videos that are very likely to be quality content and offering contextual references alongside potentially disputed information. Searching for questionable topics will not yield as many directly relevant suggestions for more videos compared to searching for some excellent computer hardwaretopics. The paper concludes with section on Google’s advertising platform and how malicious content is filtered out. Nothing there is terribly surprising, so feel free to read through the paper yourself if you really want to know every last detail.